"The Parliament of Poets: An Epic Poem" takes place partly on the moon, at the Apollo 11 landing site, the Sea of Tranquility. Apollo, the Greek god of poetry, calls all the poets of the nations, ancient and modern, East and West, to assemble on the moon to consult on the meaning of modernity. 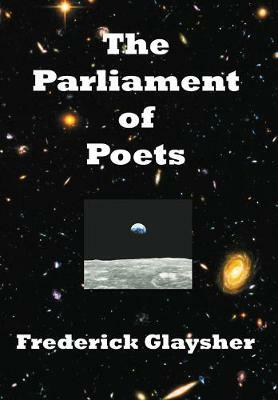 "The Parliament of Poets: An Epic Poem" takes place partly on the moon, at the Apollo 11 landing site, the Sea of Tranquility. Apollo, the Greek god of poetry, calls all the poets of the nations, ancient and modern, East and West, to assemble on the moon to consult on the meaning of modernity.All the great shades appear at the Apollo landing site in the Sea of Tranquility: Homer and Virgil from Greek and Roman civilization; Dante, Spenser, and Milton hail from the Judeo-Christian West; Rumi, Attar, and Hafez step forward from Islam; Tu Fu and Li Po, Basho and Zeami, step forth from China and Japan; the poets of the Bhagavad Gita and the Ramayana meet on that plain; griots from Africa; shamans from Indonesia and Australia; poets and seers of all ages, bards, troubadours, and minstrels, ancient and modern, major and minor, hail across the halls of time and space. As the Guide shows the Persona crucial sites around the globe, such as Chartres Cathedral and Angkor Wat, the nature of social order and civilization in the regions of the past is explored. Modern twentieth century historical experience in all its glory and all its brutal suffering is fully confronted. The modern movement toward a global civilization is recognized and celebrated for the unprecedented future it opens to human beings. That transcendent rose symbol of our age, the Earth itself viewed from the heavens, one world with no visible boundaries, metaphor of the oneness of the human race, reflects its blue-green light into the darkness of the starry universe.